Official OxygenOS Android 7 Nougat is available for the Oneplus 3 devices. But right now the OxygenOS nougat are in the beta stage, and some of the features are not working properly. With this new update, you can enjoy all the feature of Android 7 Nougat on Oneplus 3 phone. The new update comes with lots of new features like a Multi-Window view, status bar icon, quick launch, and custom DPI support. 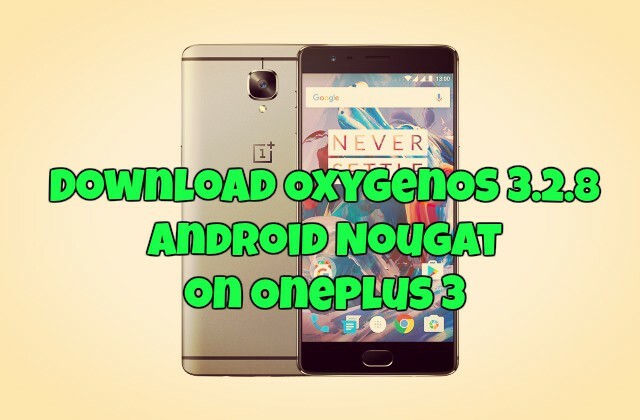 Most of the oneplus 3 users are waiting for the OnePlus 3 Android 7 Nougat update; now they can use this guide and update their phone with the OxygenOS Android Nougat. The update is in the beta stage so that you will not receive the OTA update on your phone, all you have to flash the updates with the help of ADB sideload. Here in this guide, we will show you how to update both rooted and non-rooted Oneplus 3 with this new OxygenOS Android Nougat update. If you are ready to update your OnePlus 3 to the latest version then Download OxygenOS Open Beta 8 for OnePlus 3 from below mention guide. Check below what’s new in OxygenOS Open Beta 8. After upgrading to Android N, you will not be able to directly downgrade back to M builds. The new official beta run on the Android 7.0 and to install this update on your phone. Download the OxygenOS Android 7.0 Nougat Beta 8 from the below mention link and save the zip file on your desktop. Read all the instruction very carefully and follow all the steps one by one on your phone. Make sure to take the full backup of your phone. After Upgrading OnePlus 3 to Android N, you will not be able to directly downgrade back to M builds. 5. Reboot your OnePlus 3 device into stock recovery mode. 1. First, flash this Modified TWRP Recovery 3.0.2-1.28 on your phone. Use this guide to flash the TWRP on your phone. 2. Download the Open Beta 8 Full ROM zip from above and save the zip file on your phone internal memory. 4. Take a full Nandroid backup. 5. After that. Select Wipe > Advance Wipe and Select Wipe cache, Dalvik cache, System, and data and swipe to confirm it. 6. Now go back and tap on the Install Option. Locate the ROM zip file & swipe to Install the ROM file. That’s it. Now your Oneplus 3 is running on the Official Android 4 Nougat. Let us know if you have any questions by comment below.